According to information made available from Sensor Tower, ARKit apps have been downloaded over 13 million times by Apple iPhone and Apple iPad users in the 6 months that iOS 11 has been available. A chart produced by the research firm shows a pretty straight uptrend line indicating continued growth in the number of these augmented reality based apps that have been installed by iOS users. And making this figure even more impressive, apps with only minor AR integration are not included in the number of downloads. 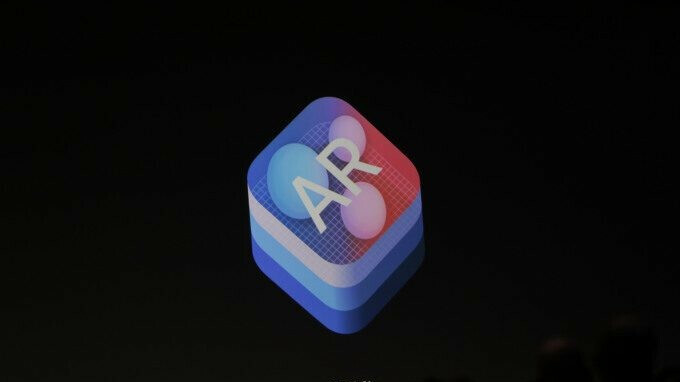 The apps that are included in the 13 million downloads were built using Apple's AR platform. Sensor Tower counts 2,000 ARKit apps available from the App Store, and that number should keep rising. Games accounted for 47% of the ARKit downloads, up from 35% in October when an initial report was issued. On the other hand, the downloads of AR utility apps have declined to 15% from 19% in October. Entertainment apps were third among ARKit apps downloaded, accounted for 12% of the total. Lifestyle apps doubled to make up 11% of the apps downloaded, and 6% of the ARKit apps downloaded came from the Photo & Video, Education and Other categories. The top free ARKit app over the last 6-months is AR Dragon, a virtual pet game. Furniture placement app IKEA Place is second. The top paid ARKit app, and also the top grossing, is CamToPlan Pro. This app allows you to draw floor plans and measure distances using AR. As for Android, Google's ARCore now has 60 compatible apps made for the platform in the Google Play Store. This Apple AR stuff... only for the iPhone X?